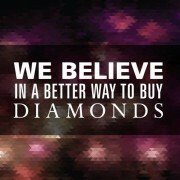 At Kimberfire our specialty is diamonds and many of our clients come to us looking for an engagement ring. People really put their heart into choosing the right ring and we love being a part of such a special moment in someone’s life. After the engagement the next step is finding wedding bands, and we are dedicated to helping people find their perfect fit. It is truly an honour to be a part of their wedding day, as they exchange rings to make a lifetime commitment. Another profession which works side by side with couples on one of the most important days of their lives is that of the wedding photographer. I interviewed Toronto based wedding photographer Raph Nogal to get an insider’s look at working in the wedding industry. Raph Nogal is a nationally accredited and award winning professional wedding photographer. His work has appeared in numerous magazines and blogs, and he is known for his creative, editorial, and modern photography style. Sara: How long have you been a photographer for and how did you get started in this business? Raph: I first picked up the camera in 2007, following my honeymoon in Costa Rica. I became a bit obsessed and found it to be a great creative outlet as I pretty much stopped doing art since attending Cawthra Park’s Regional Arts Program in Visual Arts in 2000. I started my photography business on a part-time basis in late 2009 and have now been a full-time photographer since 2013. Sara: What is it that drew you to wedding photography? Raph: It was the fact that as a wedding photographer, you need to be a master of various sub disciplines… you need to be a photo-journalist, a portrait photographer, an event photographer, a fashion photographer, you need to know how to use natural light, studio light, you need to be good with people, with macro work and the list goes on and on. I also love the fact that no wedding is ever the same. There are different dynamics, different weather conditions, different locations, and different family relationships. It keeps things interesting. Sara: On average, how many weddings do you shoot a year? Raph: I try to cap myself at 25 weddings per year, but have had 27 last year and again 27 this year. Sara: How would you describe your photography style? Raph: It is a fusion of editorial and photo-journalism. I love playing with light and having hard light and deep blacks and high contrast and giving clients some direction to bring out their best, but I also like the natural moments and pure unedited emotion that happens on the wedding day. Sara: Who or what inspires your work and images? Raph: Inspiration comes from a lot of places – movies, fashion, music, and my own experiences. Photographer Jerry Ghionis, for example, has played a tremendous role in shaping me as a photographer. I also enjoy the work of Two Mann Studios and get inspiration from the community of Fearless Photographers. Sara: Do you have any tips for couples who are looking for a wedding photographer? Raph: Well this may be a bit blunt, but “You get what you pay for”. I have heard all the stories of couples trying to cut prices and hire photographers that don’t have a lot of experience. There is nothing wrong with no experience and we all start somewhere – the problem is when those photographers “practice” on paying clients. 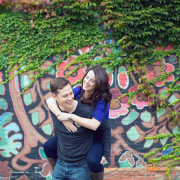 I also encourage all couples to do an engagement session with your photographer. The relationship building and working relationship is so important to put them at ease before the wedding day. Out of all the wedding vendors, you will see your photographer the most – before the wedding, at the wedding, after the wedding, album design, album pick-up. I also suggest that couples get a wedding album. We lost that tangibility of things these days and they have been replaced with awesome gadgets… but there is nothing like photographs on paper. That family heirloom will be cherished for generations. Sara: How do you help the couple and their wedding party feel comfortable having their photos taken? Raph: It all starts with trust. The couple has to trust me, or else they will not open up. It has to be fun and it’s up to the photographer to make it fun for the couples. Your personality has to shine though. Sara: What has been your favorite wedding venue to photograph? Raph: I don’t really have a favourite. Toronto has so many beautiful venues, each with their own charm – places such as Eglinton Grand, One King West, King Edward Hotel, Distillery District, just to name a few. Sara: What is your all-time favorite image you have taken? Raph: This is such a tough question. I really don’t have a favourite. Some images are emotional, some are artistic, so it’s so hard to pick. I guess if I had to pick an image that has had the most impact on me it would be an image I took of a bride kissing her father just after the ceremony. It was an organic moment and I just happened to be there. To me, this image really represents the reason why I’m a photographer. I found out three days after the image was taken, that the bride’s father had passed away. How honoured was I to witness and immortalize that moment for the bride. Sara: What are the most requested images or scenes the couple wants to have photographed? Raph: Luckily I don’t get my couples asking me to replicate images they found on Pinterest. My couples are looking for something different, not the stuffy same old poses… different angles, cool lighting, etc, which is exactly what I offer. Sara: What is the craziest thing you have done to get a perfect shot? Raph: Probably going waist deep into water, but I’m known to lay down a lot, as well as climb things – just for a different vantage point. Sara: Have you ever had something go wrong at a wedding and how did you handle it? Raph: On the way to one wedding I was cut off on the highway and a car side-swiped my car. Luckily I always leave earlier than I need to, so I had enough time to hop into a rental car to get to the wedding while my car got looked after. Sara: What is the most challenging aspect of your job? Raph: Being a wedding photographer is really physically and mentally demanding. You have to be on-point all day. You have to anticipate things, be at the right place at the right time, find the right light, the right angles and make sure everyone is looking their best. It’s usually a 12-14 hour day so afterwards my brain feels like it’s on fire. I’m pretty much useless the following day – which is why I only photograph one wedding per weekend. Sara: What is the most rewarding part of your job? Raph: To know that I’ve made a little mark on the world, especially in my couples’ history. When I give them images that are different, unique and beautiful I know they will keep and cherish them forever. Sara: If you hadn’t become a photographer what do you think you would have become? Raph: I used to be an environmental consultant so, if I hadn’t quit that to pursue my passion, I would likely still be stuck doing something I didn’t enjoy. Sara: How much does social media play a part in your business? Raph: These days social media is a must. It is, however, very time consuming and the rules are constantly changing – you just have to keep up. Sara: Having witnessed so many weddings what advice can you give to a couple on how to get the most out of their big day? Raph: Get to know your photographer – it will help with the whole photo-taking experience. Know that the wedding schedule is a “floating schedule.” Don’t plan for a speech to start at 7:47 pm. It will never happen. Don’t sweat the small stuff, at the end of the day you will get married and it will be a great party. Don’t let small things ruin your day. Sara: Thank you so much for sharing your work and experiences with us. Hopefully some of your advice will help other people find the perfect wedding photographer for their big day. Raph: Thank you very much!! If you are interested in seeing more of Ralph Nogal’s photography or would like to book an appointment with him, please visit RaphNogal.com. And if you are interested in finding the perfect engagement ring, wedding bands, or any other type of high-end jewellery then Kimberfire “A Brilliant Way to Buy a Diamond” is the company you have been looking for. Please visit us at Kimberfire.com.